So last season the press were on Arsenal Manager, Arsene Wenger’s back to find a new goalkeeper, but he kept his faith in a young talent called Wojciech Szczesny. And boy was he right to keep the faith as a large proportion of you all agreed that this season he was your choice as goalkeeper of the season. Well done Wojciech! Meanest Keeper = Average Goals Conceded per Game. Meanest Keeper = Number of Goals Conceded to Shots on Goal. 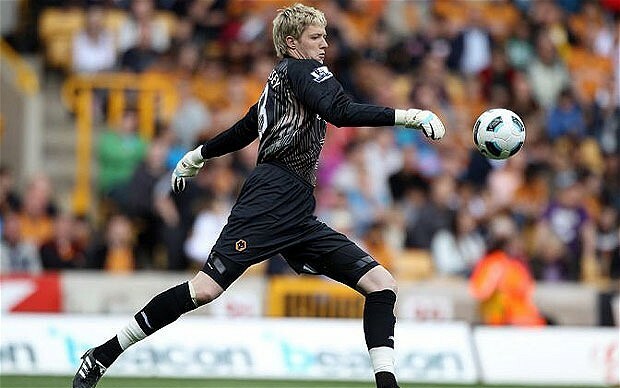 The Busiest Goalkeeper not just on the number of shots on goal, but with the number of shots to games ratio was Wolverhampton Wanderers Goalkeeper, Wayne Hennessey. 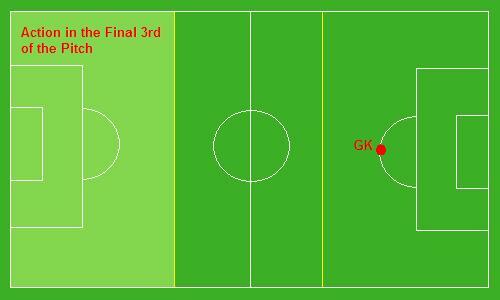 As you will see below he won by a clear mile to the next busiest keeper. With so many shots on goal it looks like he didn’t get a moment’s peace. However with the injury he has now sustained he now at least gets four months worth of rest… I wish him well and hope to see him back in action soon! Pressing times – Does a goalkeeper press forward or not? Of course in Goalkeeping there are a number of triggers for a Goalkeeper to know all dependent on the situation they face, such as the trigger to rush out in a 1v1 situation; the trigger of when to stay put or not for a cross or high ball; and the one we are going to look at here, that being the triggers related to positioning during phases of play and whether to press forward or not. There are many schools of thought, but ultimately they are all dependent on where the action is on the pitch, however for our young student keepers we need to start with the easiest example. 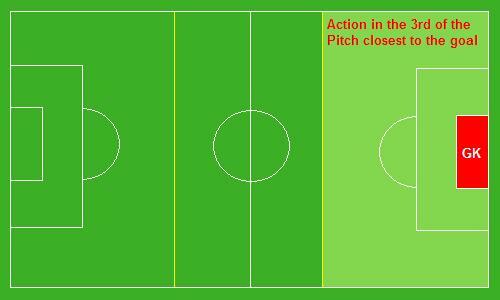 As in the diagram, for instances where the action is in this 3rd nearest the goal, the goalkeeper would position themselves in the 6 yard box (marked in Red). However remember that the Goalkeeper should look to stand off their goal line, not too far off the line that could allow the opposition to chip over their head and not to far back that they look too small in goal or that they can’t step back if need be. 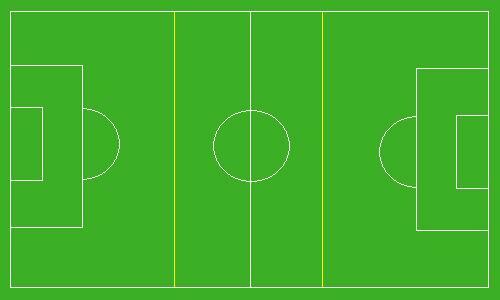 As in this diagram, for instances where the action is in the middle 3rd, the goalkeeper would position themselves in the 18 yard box (marked in Red). Remembering that if the action changes and comes back into the closest third to start moving back into the 6 yard box as described in the first example. This time the goalkeeper can come forward and sit around the D next to the 18 yard box (marked as a Red blob) for instances where the action is in the final 3rd. The Goalkeeper is almost acting like a sweeper. That sometimes where the ball is played over the top the Goalkeeper may be closer than the defenders to come out and kick the ball back up the pitch. But they must only do this if they are able to do so, confident enough to distribute the ball, and agile enough to get back to protect their Goalkeeping line. Movement from the goal and back to the goal line, when to stay and when to press is then all dependent on those triggers of seeing where the action is on the pitch. 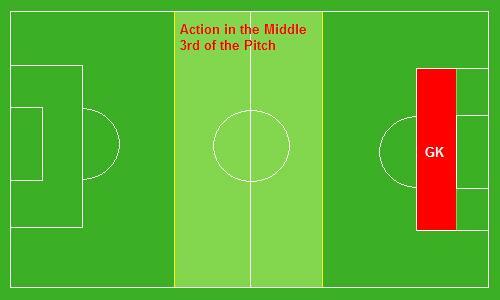 Not just moving based on the 3rds but also across the pitch in line with the ball. So Roy Hodgson this week made his first big decision as the new England Manager, to name the squad for the Euro 2012 finals. With some familiar faces, some that were missing and some new ones. As usual of an England Manager there were those quick to rain on Roy’s parade, that he hadn’t pick this player over that… However you can’t really argue over his selection of the Goalkeeping position. Again, we see that this country does have much exciting talent for this position, even with Ben Foster withdrawing from International Football. 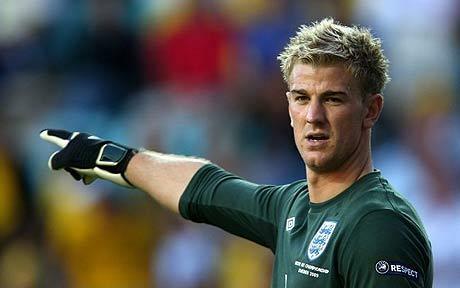 He was always going to select Joe Hart and as my stats shall show later this week he deserves this more than most. Fast proving himself one of the best keepers in the world. Hopefully he will get to prove this at the Euros! 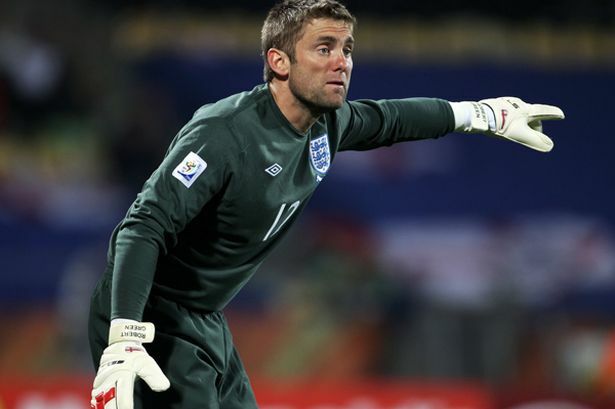 Then we have Robert Green. He has his doubters after some high profile errors, but he does learn from them. His form in the Championship with West Ham has been brilliant with: 15 Clean Sheets – That’s a 35.71% Clean Sheets to Games Ratio; 45 goals conceded in 42 games played for West Ham; and Keeping it mean at the back with a 17.79% of goals conceded to shots on goal ratio. Today Robert Green now heads back into the Premiership with West Ham following an excellent game of football (for the neutral) in the Championship Play Off Final. It does make you question why the papers are linking Paul Robinson with a move from Blackburn to the Hammers, after all why would they want to replace such a talent. And you have to applaud Roy for selecting John Ruddy, who had pulled off some remarkable saves at Norwich (his stats are also coming soon…). He most certainly deserves his place. 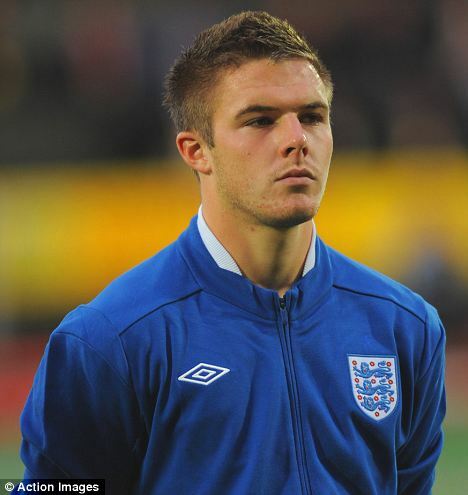 Finally if for what ever reason one of these 3 are withdrawn, we have a great young keeper on the replacement list, Jack Butland. As previously posted when enthusing about the young talent in the wings he has been producing immense displays on loan for Cheltenham Town that has got him not only watches by a number of Premier League clubs but also noticed by the England Senior squad. Way to go Jack! My daughter’s team will have conceded 40+ goals this season in 16 games. However in no way does that mean that the team have been poor. What cannot be seen by a team’s goals conceded is the type of goals scored: Goals that even top-class professional Keepers struggle to keep out of the net; or Goals that come from an unlucky bounce, unforced errors and flukes. It also doesn’t take into account that the team did actually play really well all season, giving their maximum effort, but that the opposition may have actually played better. 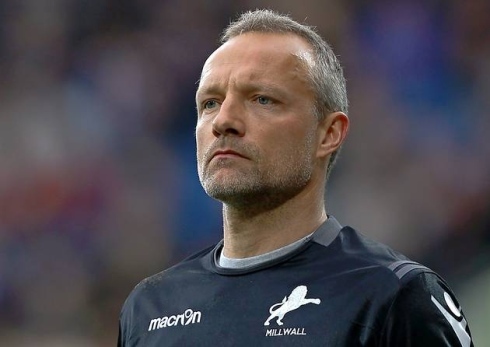 In addition, after my previous posts, I hope now you will have seen that there is more to being a great Goalkeeper than keeping a clean sheet… That if you look at the statistics I posted of the Championship Goalkeepers, that keeping a clean sheet is just as hard for a professional Goalkeeper as it is for our student Goalkeepers. Basically the point I am getting at for our young Goalkeepers and also to their respective teams is that Clean Sheets are difficult to obtain. So try not to put yourself under pressure, if you rarely keep a clean sheet. If you do it then that is a bonus. If however you are keeping clean sheets regularly, be thankful also of your team as they may too play a big part in your success. 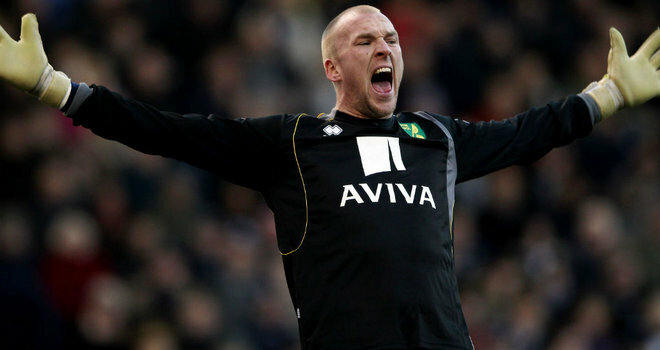 The final award in this series is for the busiest Goalkeeper in the Championship 2011-2012. Which is based on the amount of shots on goal versus the number of games played, giving an average amount of shots on goal per game. 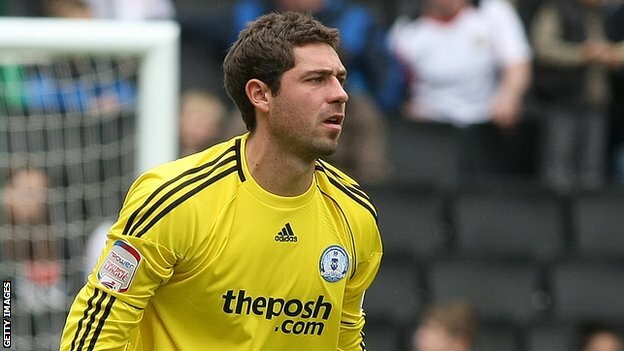 So spare a thought for our winner of this is Peterborough’s Paul Jones… He may not have had many clean sheets this season, but with this aount of shots per game, he was always going to find it difficult to win the golden glove award! Meanest Keeper = Average Conceded per Games. Best Clean Sheets to Games Ratio in the Championship 2011-2012 season is Hull City’s Goalkeeper (on loan from Arsenal) Vito Mannone. 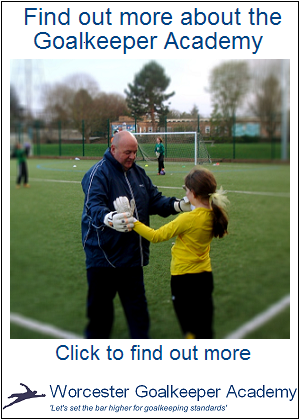 Pressing times - Does a goalkeeper press forward or not?